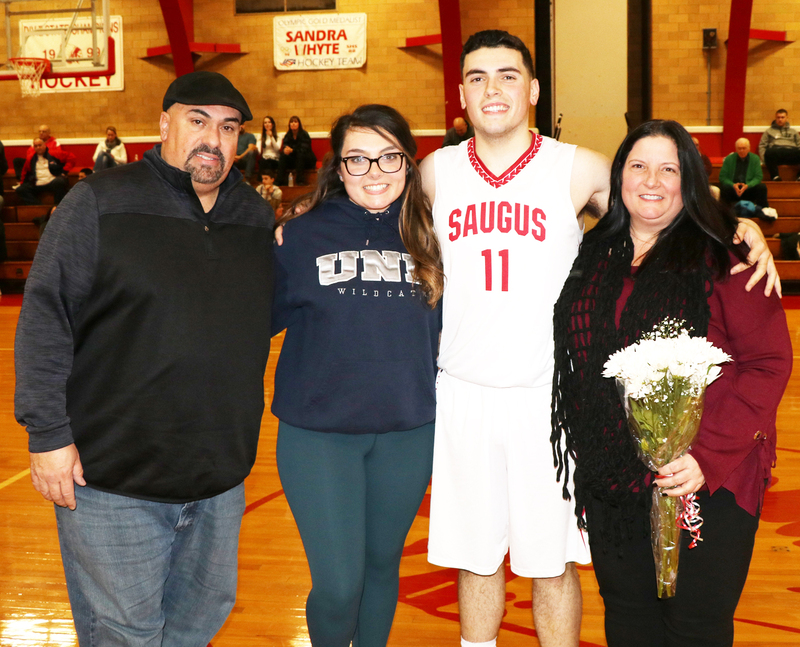 Saugus High School Boys Basketball Honors Seniors at Final Home Game last Thursday Night. 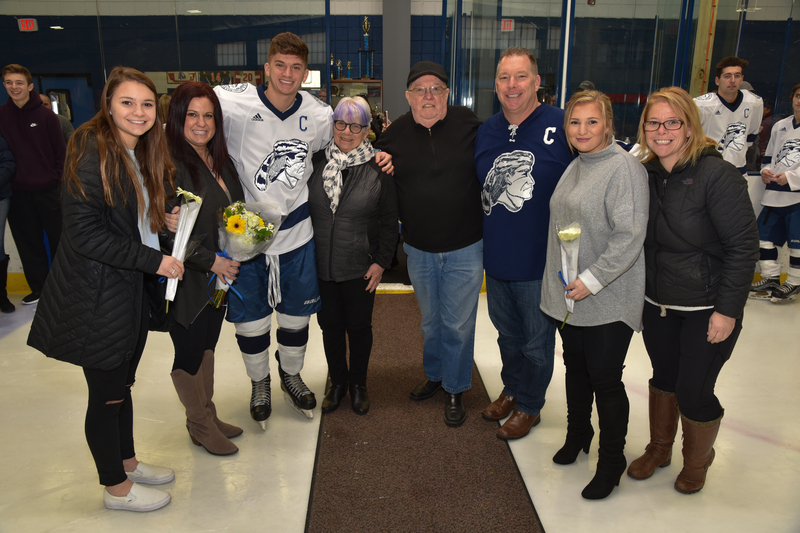 #22 Captain Michael Mabee with his parents, John and Michele and his brother, Ryan, sister, Alley and proud grandparents. Sarah Trabucco with her parents, Kimberly and Roger. Capt. Britney Miranda with her parents, Jenn and Mike. Captain Julia Dreyer with her parents, Cathy and Andy. #11 Paul Stamatopoulos with his parents, Diana and Paul and Jenna. #10 Robert McGrane with his mom, Cheryl. 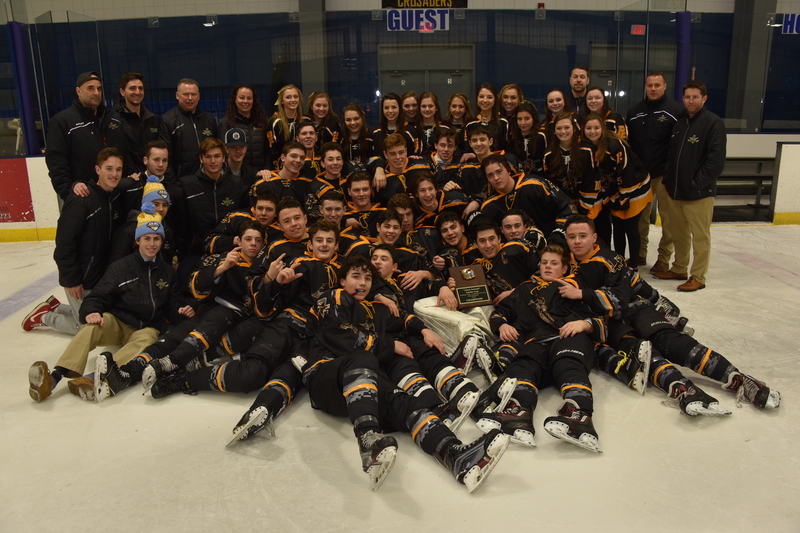 #23 Vincent Cirame with his mom, Dineen and the rest of his family.